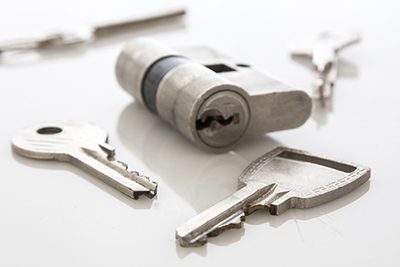 Finding information about locks and keys can be difficult for the new homeowner. Fortunately, we have all the tips you need here, from getting to know the different lock types to learning the methods to keep them well-maintained at all times. Even if you don't get letters very often these days, your mail box is your private property and should be protected. Since mail box locks wear and tear fast (since they are exposed daily to elements), our specialists suggest that you should check that the key fits okay in the lock and the little door opens. It's best to have them replaced before they are completely worn. Broken keys are a common problem. If yours breaks and you attempt to extract it with tweezers or other tools, be extra careful. If the broken piece is barely protruding in the door lock, there's a possibility that you'll push it further in. In this case, you'll need to remove the lock. Also make sure the key is turned to its original position or you won't be able to extract it, but if you put force you might damage the lock.